If you are a born explorer, you’ll want this mod. 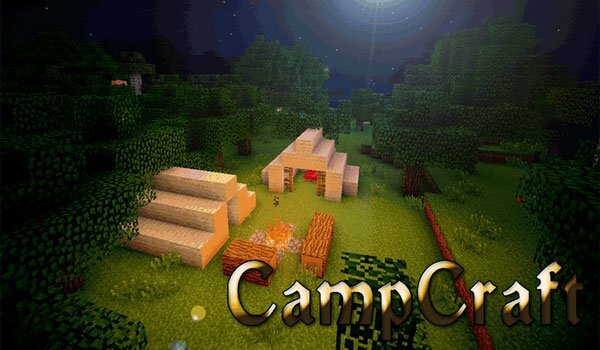 CampCraft Mod 1.6.4 adds to your Minecraft whole series of objects designed to go camping exploration on Minecraft. Among them we find a good variety: up 60 tents, three different sizes and colors, we can take over and ride wherever we want with one click. Besides them the mod adds things like lanterns, bonfires, grill cooking, lots of new food, flashlights, sleeping bags and other novelties. How to Install CampCraft Mod for Minecraft 1.6.4? Now we can go camping in Minecraft!